ge to the southern edge of the island. 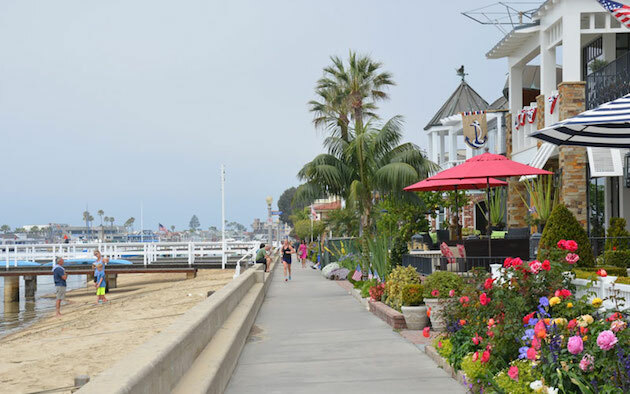 There are lots of shops and restaurants in the area near Marine Ave. & Park Ave.
You can drive over to Balboa Island, but parking can be limited. A better way is the quick Balboa Island Ferry, which runs continuously from 6:30 a.m. until 12:30 a.m. It costs $1 and takes only a few minutes. The ferry enables a lovely longer run, incorporating the 3 mile trail on the Balboa Peninsula. Add-On: Use the ferry to connect to the Balboa Peninsula. 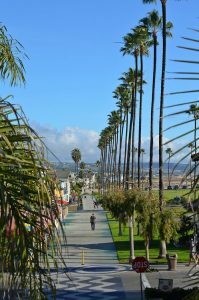 It’s only 0.2 miles to the Balboa Pier and the terrific 3-mile Newport Balboa bike trail. Ferry terminal or bridge on Marine Ave.